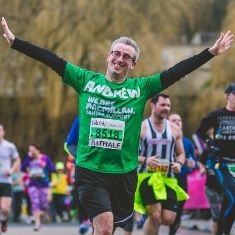 Join Team Macmillan for the Great Bristol Half Marathon and we will treat you like the superhero you are from the moment you sign up through to when you cross the finish line. 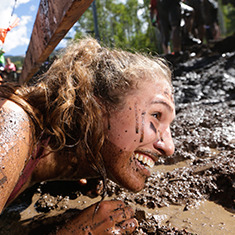 Click ‘Get a Place’ to sign up for a charity place and complete part one of your registration. The course starts and finishes in Bristol's historic Harbourside. The scenic, sea-level route takes runners past the Harbourside, out and back along the Portway, through the stunning Avon Gorge, and twice under Bristol’s famous Clifton Suspension Bridge. (The registration fee is payable to Macmillan Cancer Support Trading Limited which is wholly owned subsidiary of Macmillan Cancer Support. Macmillan Cancer Support Trading Limited donates 100% of its profits to Macmillan Cancer Support each year). The minimum age for this event is 17 years old. Please make sure you have read our Terms and Conditions before signing up. And of course... the loudest and most supportive cheers on the course! Macmillan relies on 98% of its funding from supporters and runners like you. We want to use this amazing event to make a difference. We will provide you with a reason to put in those months of training and fundraising, because you know that your efforts are going towards improving the lives of people affected by cancer in the UK today. If you have any family and friends who’d like to come and support you on the day, we’d love them to join our volunteer team! To find out more details email volunteering@macmillan.org.uk.